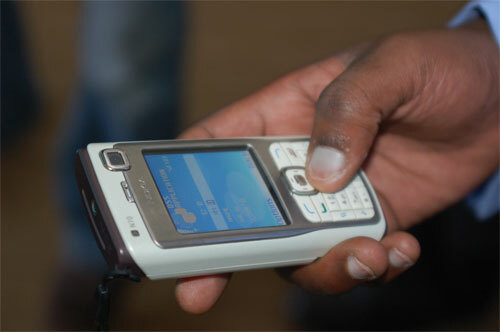 Fahamu and Tactical Tech have joined forces to put on a Mobile Advocacy Workshop in Nairobi. I had the chance to attend the afternoon sessions today, and will be taking part in the Mobile Toolkit Workgroup tomorrow. While here I’ve had a chance to meet two blog/email acquaintances too, Sokari Ekine of Black Looks and Ken Banks of Kiwanja.net. They’re both experts in their fields, and it’s been great getting to know them on a face-to-face level. Sokari works at Fahamu and has been a social activist for quite some time. She has a particular focus on women’s rights, as can be seen on her blog. Ken Banks is a technologist who developed Frontline SMS, the system used to monitor the Nigerian elections amongst others.